A modern classic for those who yearn for deeper, more joyful love, taught by a Zen master. In the practice of mindfulness, your complete awareness in the moment opens the door to every possibility. 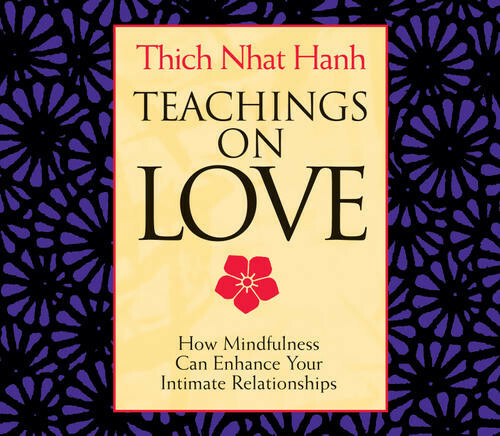 On Teachings on Love, Thich Nhat Hanh explores how to shine the light of awareness into your intimate relationships. The Buddha taught that authentic love must possess four basic qualities: maitri (lovingkindness), karuna (compassion), mudita (sympathetic joy), and upeksha (freedom). When we look deeply into ourselves and our loved ones, these qualities begin to bloom effortlessly. Weaving together key Buddhist concepts and traditional stories, Thich Nhat Hanh offers detailed practices for fostering understanding and intimacy in any kind of relationship: between lovers, parents and children, and others. A modern classic for anyone who yearns for a deeper, more joyful love, which Thich Nhat Hanh calls a miracle.